Cover more ground by unlocking Rush Jet in Mega Man 11. In Mega Man 11, you can not only upgrade Mega Man himself, but also Rush. At first, Rush starts out with the Rush Coil, though there’s also a way to get the Rush Jet in the game. The Rush Jet can’t be purchased in Dr. Light’s Shop like other parts and items in Mega Man 11, but instead has a particular requirement you’ll need to complete before it unlocks. Having trouble unlocking this item for Rush? We’ve got you covered! Below, we’ve put together a quick guide on how to get the Rush Jet in Mega Man 11! You can get the Rush Jet by defeating 4 Robot Master bosses in Mega Man 11. As stated above, the Rush Jet isn’t something that can be purchased in Dr. Light’s Shop. Instead, you’ll need to complete a particular requirement in order to get the Rush Jet. How do you get the Rush Jet? First, you’ll need to defeat all 4 Robot Master bosses in Mega Man 11. After you defeat all 4 of these Robot Master bosses, the Rush Jet will automatically unlock. There are a variety of Robot Master bosses in Mega Man 11, and you can defeat any 4 you like to unlock the Rush Jet. For example, you can defeat bosses in chronological order and the Rush Jet will unlock. 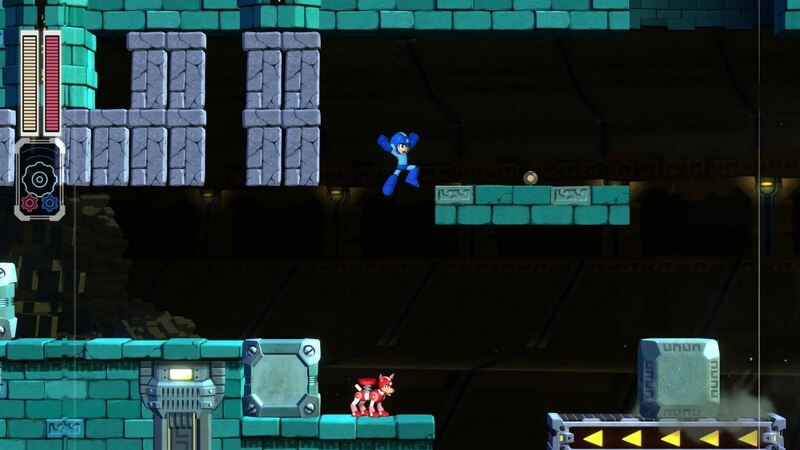 With the Rush Jet, Mega Man can move through the in-game world quickly without ever touching the ground. Additionally, you can combine the Rush Coil and Rush Jet together to reach previously out-of-reach areas. To do this, you’ll want to first activate the Rush Coil, then when you’re in mid-air, activate the Rush Jet. For more on Mega Man 11, be sure to check out our previous guide on how to unlock new parts and items in Mega Man 11! By reading through this guide you should now know how to get the Rush Jet in Mega Man 11.